Now this is one sweet tiny home! 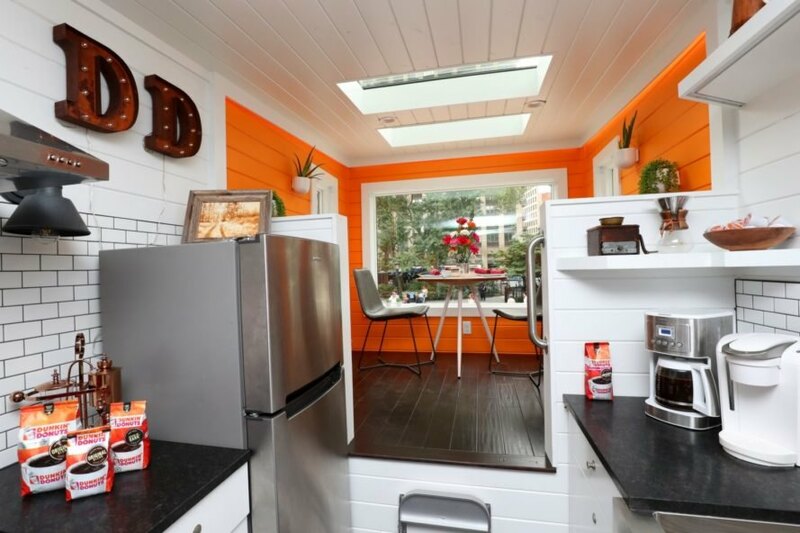 Dunkin’ Donuts has long claimed that ¨America Runs on Dunkin’,” but now, the company has created a gorgeous tiny home that is truly fueled with coffee. 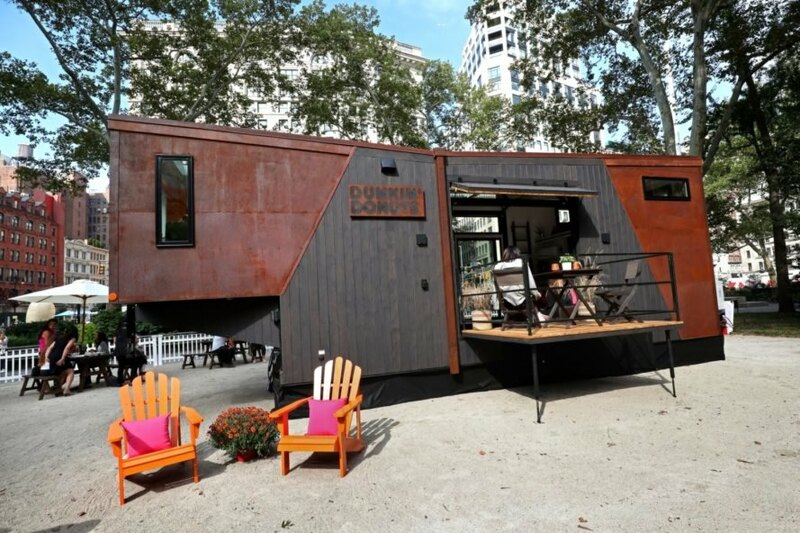 Recently unveiled at NYC’s Madison Square Park, the 275-square-foot “Home That Runs on Dunkin’” is powered entirely by an eco-friendly biofuel created out of recycled coffee grounds. The tiny home project was a collaboration between Dunkin’ Donuts and builder New Frontier Tiny Home. The custom-made home was built on a trailer with wheels for easy transport. The design was inspired by the doughnut company’s dark, rich coffee and bright orange and pink logo. The house is clad in dark, black-stained cedar, inspired by the color of a cup of coffee. On the corners of the home, weathered steel panels add an industrial touch. Although compact, the interior of the tiny home is warm and cozy — just like a cup of Joe. There is a master bedroom with a king-sized bed, a spa-like bathroom, a chef’s kitchen with high-end appliances and an elevated dining area with an extra-large window that brings in natural light. From the living room, a garage door wall opens up to an open-air cedar porch. The interior design, spearheaded by actress Olivia Wilde, is fresh and modern. Reclaimed wood siding and shiplap add a warm touch to the living space. The home’s furnishings, many of which were also made out of reclaimed materials, are multifunctional to add space. Throughout the house, the company’s iconic pink and orange logo colors can be found. Of course, the most spectacular aspect to the beautiful tiny home is its clean energy, which is produced out of recycled coffee grounds. Developed by Blue Marble Biomaterials, a sustainable biochemical company, the home runs on biofuel converted out of approximately 65,000 pounds of used coffee grounds. To create the biofuel, excess oils in the coffee grounds are extracted and then mixed with alcohol to undergo a chemical reaction known as transesterification. This process produces a biodiesel that burns efficiently. Once the biodiesel is washed and refined, it is ready to be used as fuel through the use of a standard biofuel generator. According to the project description, 170 pounds of recycled coffee grounds produce about one gallon of fuel. 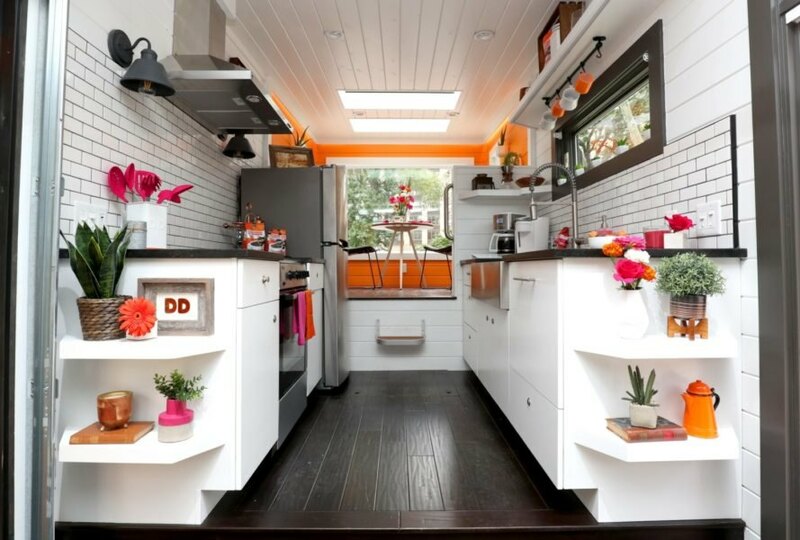 The Dunkin’ Donuts tiny home is an excellent example of how to reuse waste, and it also shows the importance of creating a sustainable energy system for homes of the future. Your morning cup of coffee now powers you and your home! The Home That Runs on Dunkin' is powered by recycled coffee grounds. The tiny home is just 275-square feet. The house has an outdoor deck for enjoying delicious coffee. White walls contrast nicely with the dark walnut floors. Touches of pink and orange represent the iconic colors of Dunkin' Donuts. Olivia Wilde partnered with Dunkin' Donuts on designing the interior. 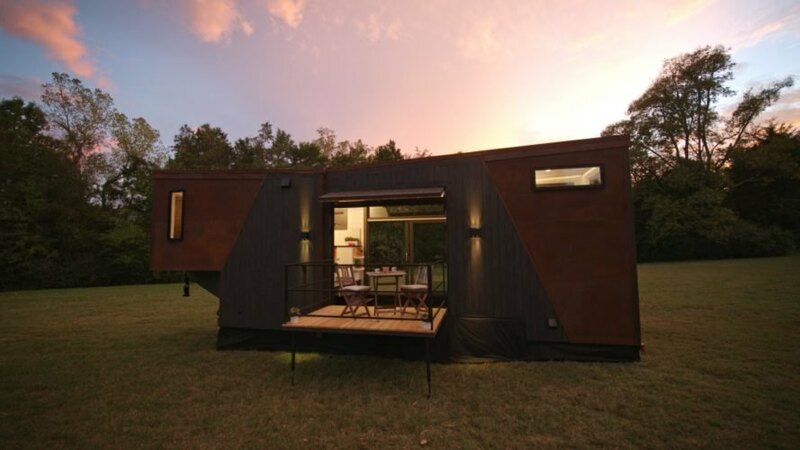 The tiny home features the dark hues of coffee throughout. Colorful flowers add a touch of nature to the dining space. The home's wooden deck is the best place to enjoy the brand's popular coffee. 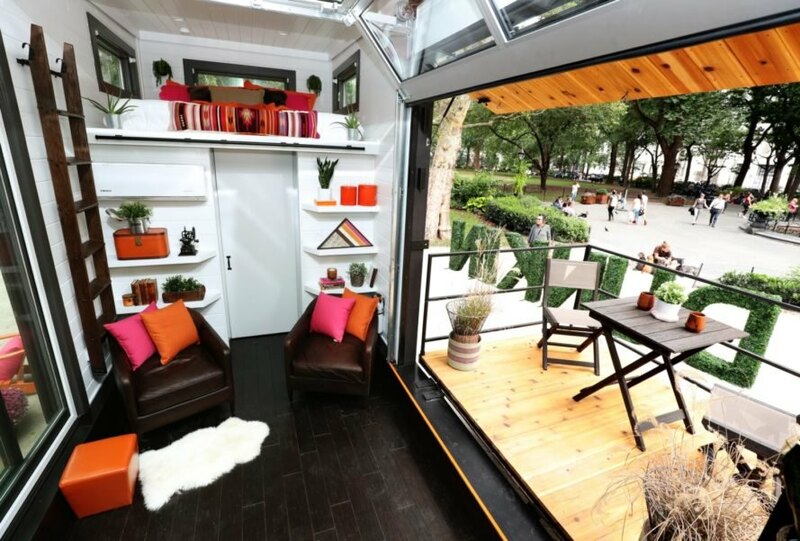 The tiny home was unveiled on October 2, 2018 in New York City. Now, you and your home can run on Dunkin'.